"coming together is the beginning; keeping together is progress; delivering project to scope and on-time is success"
When strength, durability and quality are the important selection factors, steel framing is the natural choice for brick-veneer and direct-clad home construction. Durability: You need never be concerned that the structural frame you can’t see is deteriorating due to environmental or biological attack by termites, borers or fungi. Stability: Steel frames will not absorb moisture or dry out. Steel has outstanding dimensional stability to keep your home in shape indeﬁnitely. Structural efﬁciency: Engineered steel frames are extremely strong yet are light in weight. Design ﬂexibility: Create optimum architectural forms to suit your living needs and building conditions, including long clear spans for open plan living and even curved trusses. Wide availability: The design you want can be built virtually anywhere in Australia. Fire resistance: Does not burn nor contribute fuel to the spread of a ﬁre. Low maintenance: Low cost and effort to keep its design qualities intact. Trade familiarity: Steel frames are easy to construct and ﬁnish, and you’ll always have access to the skills to modify or extend your home. Environmentally friendly: Steel is 100% recyclable, easily accommodates energy efﬁ cient design concepts, enables minimal site disturbance and produces little site waste. Steel framing is light but strong. There is less mass of material to be handled on site at frame stage, so it is safe and easy to handle and quick to erect. One of the big advantages of HERM Prefabricated Steel Frames are that they are sub-assembled. Walls, Roofing and other sections are partly assembled making the job of erecting more simpler. However, whether you have lot of knowledge of reading plans, and steel building erection process, or you have just started on steel building project... there is a right way and wrong way to complete this task. HERM Built can provide you with a site foreman and laboring staff to quickly erect your framing. 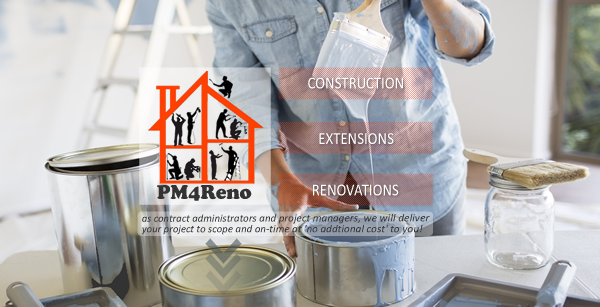 HERM Built’s “PM” is a cloud based PC and mobile integrated platform which significantly increase project efficiency, transparency and accountability by streamlining and mobilizing project communication and documentation across every stage of build. Improve the Clients, Contractors/PCBU and Project Team experience through a straightforward and user-friendly interface. Identify problems (risk) and heighten efficiency of projects deliverables across each stage of build. Through better communication, transparency and accountability – deliver the project to scope, on-time and to budget. As with the ‘Internet of Things’ (IoT), PM’s patented communication features are robust, and allows all parties to remain updated on all developments in real time across each stage of the deliverables. Through internet connectivity, Clients, Contractors and Project Team members no longer have to juggle communication using emails, text messages, and other means. After Login, you can use the “Comments section” to communicate and inform involved parties regarding any updates or recent changes via the website, mobile app, or replying to an email or text from the system. Your ‘mobile app’ is only available by invitation. After you have been setup as a Client or Contractor/PCBU of HERM Built, you will receive an email with an information sheet on ‘How to Login & Download your (this) ‘mobile App’ onto your Apple, Android or PC device. From here on, with a simple ‘tap or click’ of the App – you now have 24/7 anywhere anytime access to your project. A lot of builders, home owners and property investors talk about the cost to build a house in terms of dollars per square meter. The way this is calculated is by taking the total cost of the build and dividing it by the total floorspace of the home (not the land). I am personally not a massive fan of these calculations as the cost per square foot/meter for a kitchen or bathroom is going to cost a lot more than the cost per square foot/meter for an empty room. Thus your calculations can quickly become inaccurate if you are creating a large kitchen or bathroom space in the home. None the less it is an important measurement so here is a rough estimate of cost per square metre different types of houses may cost you. Extra Costs You Need To Take Into AccountThere are also some extra costs you need to take into account which could end up costing you a significant amount of money. It is difficult to estimate the costs without knowing anything about your land or your build. This week, we launched our ‘cloud’ based project collaboration managed service. For the first time, home owners and investor groups (project owners) will receive scheduled progress reports at each stage of development - from start-to-finish. Project Documents: Approvals, Permits, Reports, Notices, Surveys, etc. Building Plans: Up-to-date plans that can be downloaded to a smart devise - phone, iPad, tablet, etc. Project Schedule: Up-to-date visibility of who's doing what, when, where at the site, including overlapping jobs. Reporting: Progress reports, and report sharing between tradespeople on each job, and related task. Contract Details: Names, photo ID and contact details of all key personal contracted to the project. 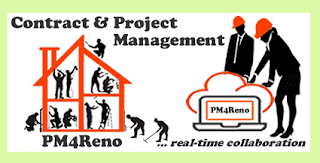 The PM4Reno collaboration software (SaaS App) gives us complete visibility over our Customers project. The projects progress across each stage of development, and likely risk and issues - to ensure the project is delivered to scope, on-time and at the lowest total cost (LTC). 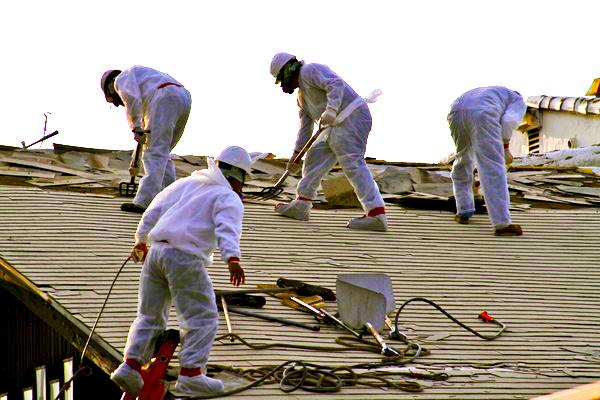 This guide mainly applies to tradespeople and ‘do-it-yourself’ (DIY) home renovators carrying out minor renovations on building materials that may contain asbestos. 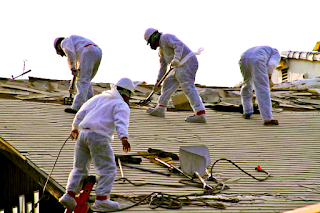 The guide doesn’t cover the major removal work of either non-friable or friable asbestos. • Help to ensure the project is delivered on-time, to scope, and at the lowest total cost of ownership (TCO). Small and medium (SME) construction companies are failing to win most public sector contracts, it is claimed. Public sector construction contracts are worth more than A$71billion (£37billion / USD$57billion per year, which is a considerable 38% of all construction output, says a new report by the Federation of Master Builders (FMB). Despite a government pledge that at least 25% of all central government contracts should be awarded to small and medium-sized (SME) businesses by 2015, many construction SME firms are finding it tough to win public sector work. The GAP Program is the game changer for SME Master Builders to win more projects. To learn more, you can [download the PDF here]. How SME's (small and medium enterprises) are driving procurement cost down! As 'stand-alone-businesses', the core strength of a SME is its entrepreneurship, innovation and flexibility to address local market and 'niche market’ needs. Unfortunately, this very strength becomes its greatest weakness - when it comes to the 'Power of Procurement'. HOWEVER, there is a simple solution! In a globalised market, multi-nationals and corporate business are leveraging the power of procurement through 'size' and 'globalised procurement strategies and strategic sourcing strategies' to drive aggressive negotiations within low cost manufacturing countries (LCMC) and within local markets where they do business to address - supply gaps, roadblock, leakages - and to deliver negotiated and realised savings back to (a) a project, (b) business unit, (c) groups profitability. The GAP (Group Aggregated Procurement) program (copyright, HERM Logic) is leveraging the power of procurement for SME's through an overarching strategic sourcing plan and framework based on profitable partnering. As a result, our next generation GAP Program has delivered negotiated and realised savings from 10% - 35% to projects, business units and the bottom-line of the group’s P&L Statement. To learn more about the GAP Program, you can download the PDF here!